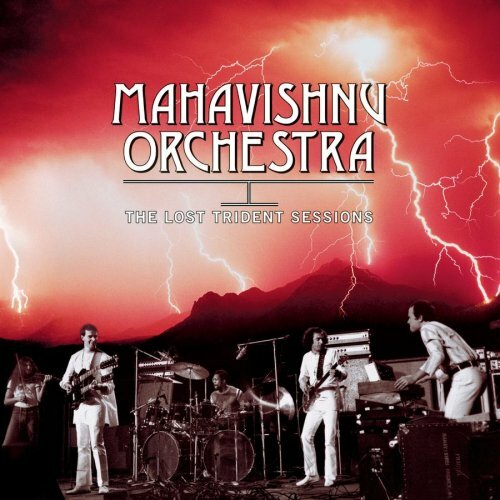 Sometime in 1973 comes the end of Mahavishnu's Orchestra original line-up.Despite two highly-acclaimed Fusion masterpieces, the relationship between the members was in crisis and the cohesion of the core was doubtful due to the endless lives and exhausting tours.The top of the cake comes via an interview of Jan Hammer and Jerry Goodman, expressing their frustration on McLaughlin's leadership.Even so the band had already worked on the recordings of a third album, which was never released, apparently they were so close to call it quit that their label thought releasing an album of a dissolved act was not a particularly good idea.Although some of tracks were included in the solo albums of Jerry Goodman and Jan Hammer or the 73' live album ''Between nothingness & eternity'', the complete sessions were released on Columbia in 1999 as ''The lost Trident sessions''. And yes, it would be a crime if this work never saw the light of day, because this third effort by Mahavishnu Orchestra's original formation was absolutely great, it even sounds greater than ''Birds of fire'', and offers a powerful, furious and intricate Jazz Fusion few bands could actually play with much success.Moreover this is actually the rockier and most dynamic of all Mahavishnu Orchestra early albums, presenting John McLaughlin in a blistering mood for fiery solos and Jerry Goodman setting his violin on fire.The band was going through weird circumstances during the time, but the last thing I feel listening to this album is problems between the band members.What I feel is that these personal frustrations were expressed here through attacking compositions, featuring endless alternations between virtuosic solos and emphatic interplays and some impressive individual performances with dynamic intensity and accurate playing.You will be blown away after meeting with McLaughlin's sharp and mascular guitar parts and I find Goodman being in his best form ever with his tireless violin solos dominating the scene.The rhythm section is flawless and Hammer provides some beautiful work on electric piano and synthesizers.The album features also some bits of Funk, but you should actually focus on the two long opening tracks, you won't believe that Mahavishnu Orchestra had so much gasoline left in the tank and just go sad about this line-up fading away so soon. This is the excellence of Jazz meeting Prog Rock, taped around 1973 by a group of super-talented guys.It's not as monumental as ''The inner mounting flame'', but its undisputed energy level and the frenetic instrumental parts are absolutely majestic.Highly recommended.